Oil spill. 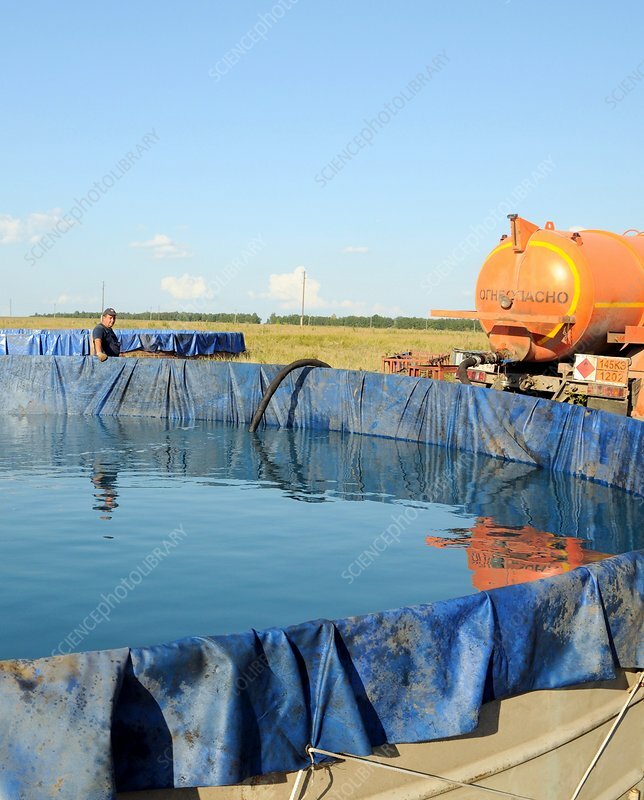 A worker draining contaminated water into a holding pond after an oil spill. Photographed in Ryazan, Russia, in 2011.